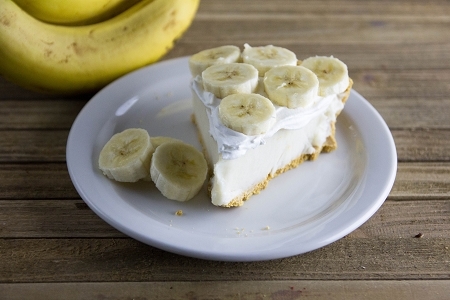 Our Banana Cream Pie mix makes a dreamy dessert containing real banana. Sugar free and easy to make—just mix in milk and water and chill. 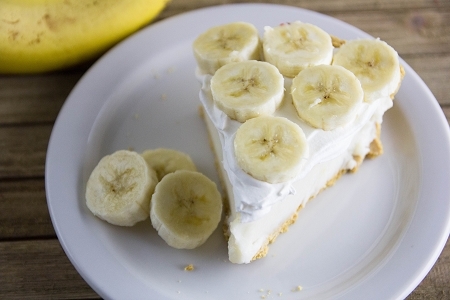 Maltodextrin, Modified Starch, Erythritol, Whole Dried Eggs, Whipping Base (Partially Hydrogenated Coconut Oil &/or Palm Kernel Oil, Corn Syrup Solids, Sodium Caseinate [a Milk derivative], Propylene Glycol Monoesters, Lactic Acid Esters & Sodium Aluminate), Polydextrose, Banana Powder, Tetrasodium Pyrophosphate, Carrageenan Gum, Natural Banana Flavor, Sodium Alginate, Cream Flavor, Citric Acid, Sucralose, Acesulfame Potassium.